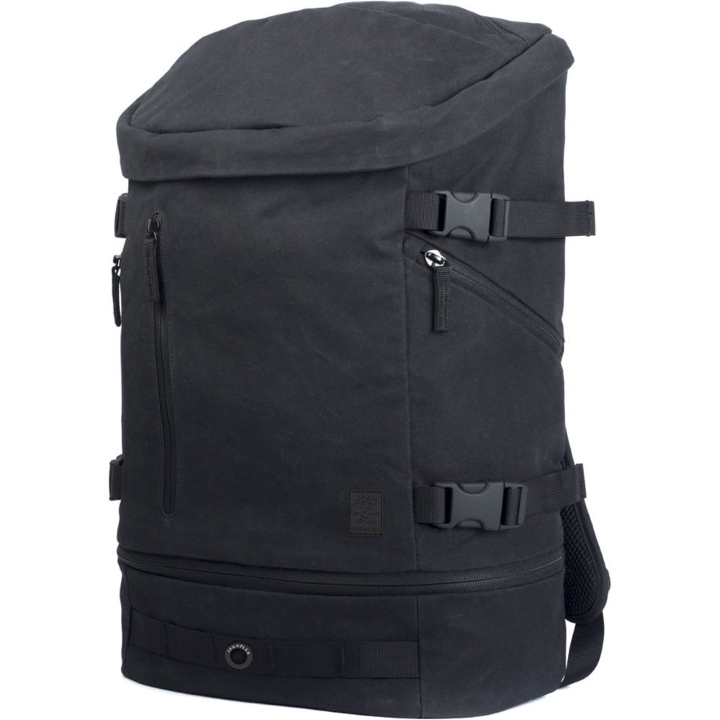 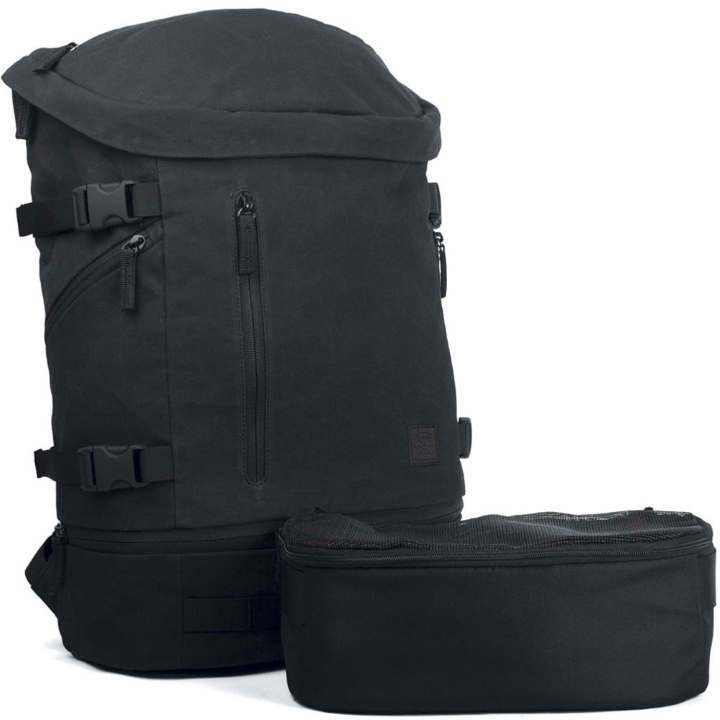 Store, transport, and protect your DSLR/mirrorless camera with attached lens, extra lens, flash, and related accessories with the black Base Park Backpack from Crumpler. 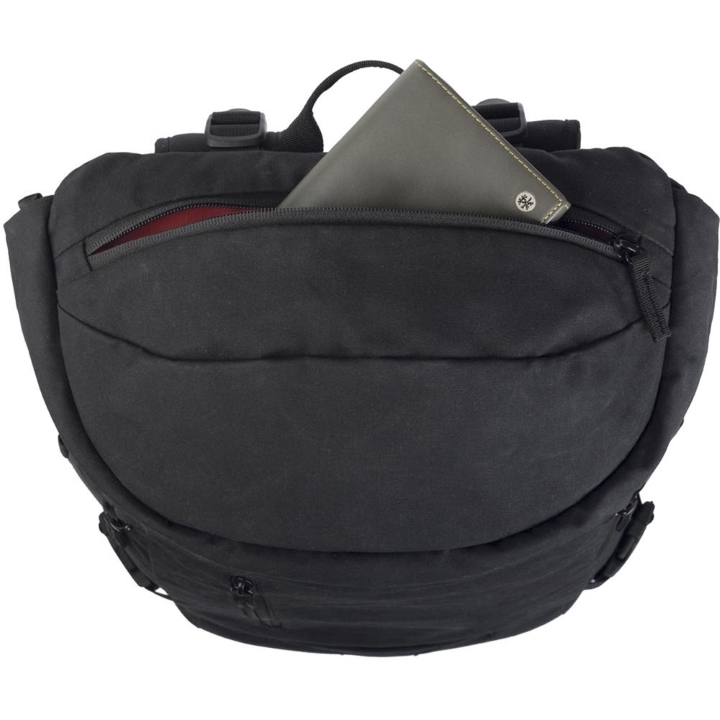 Interior padded sleeves can accommodate an up to 15" laptop and a 9.7" tablet. 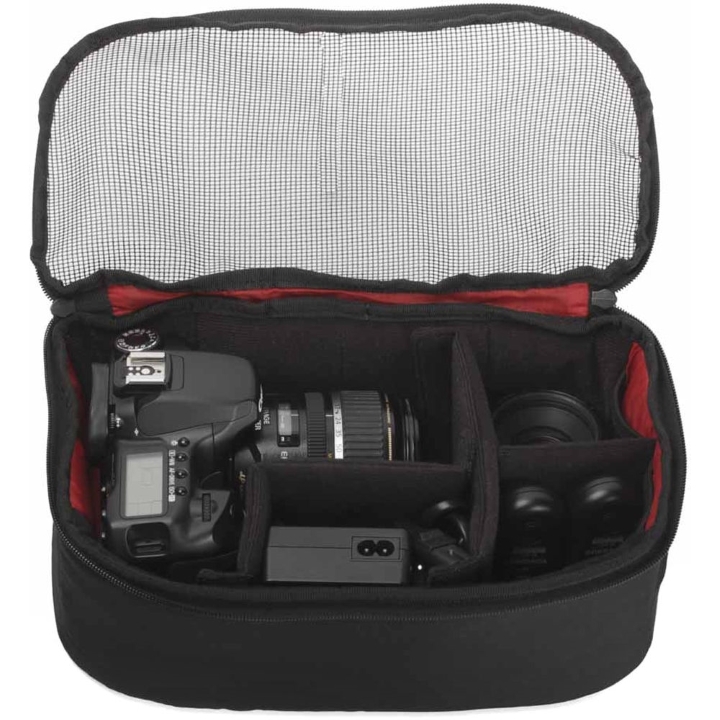 The pack has an upper compartment for personal gear and lower zip compartment with a padded insert and touch-fastening dividers for camera gear. 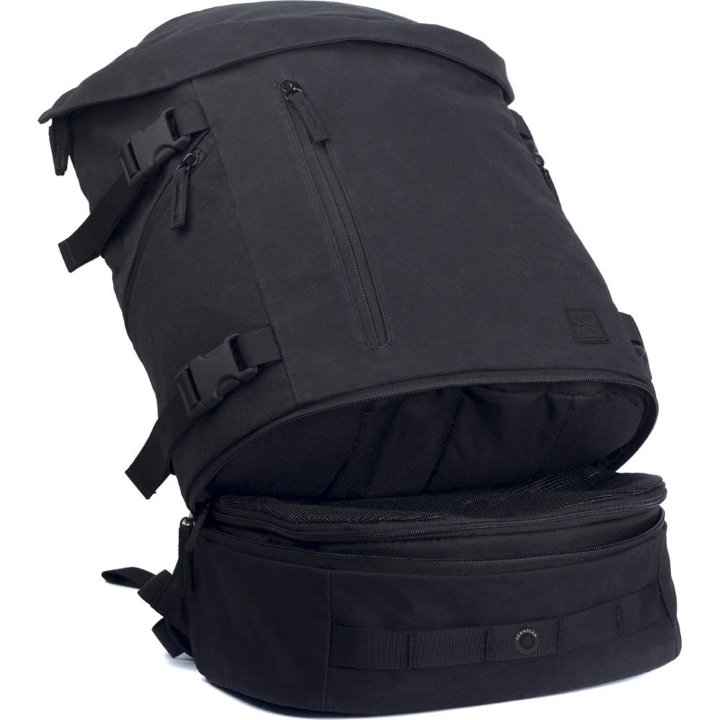 By simply removing the insert, the pack can be converted for general use. 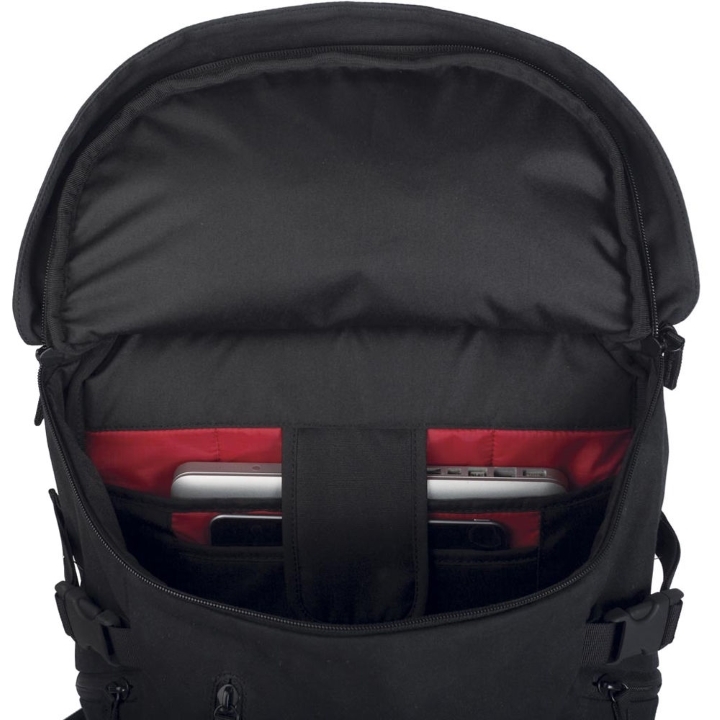 Exterior zip pockets help keep your phone and other items handy. 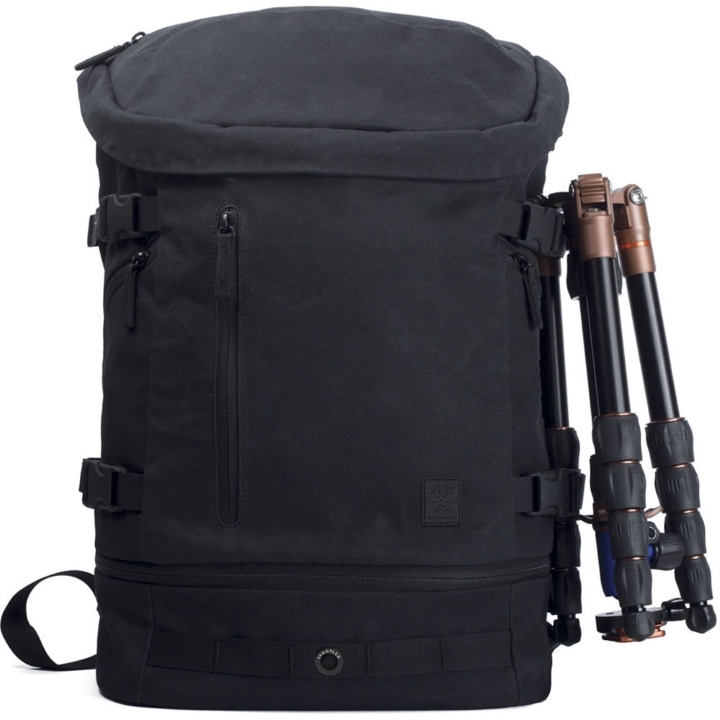 Accessory loops and adjustable straps provide attachment points for a tripod and other assorted gear. 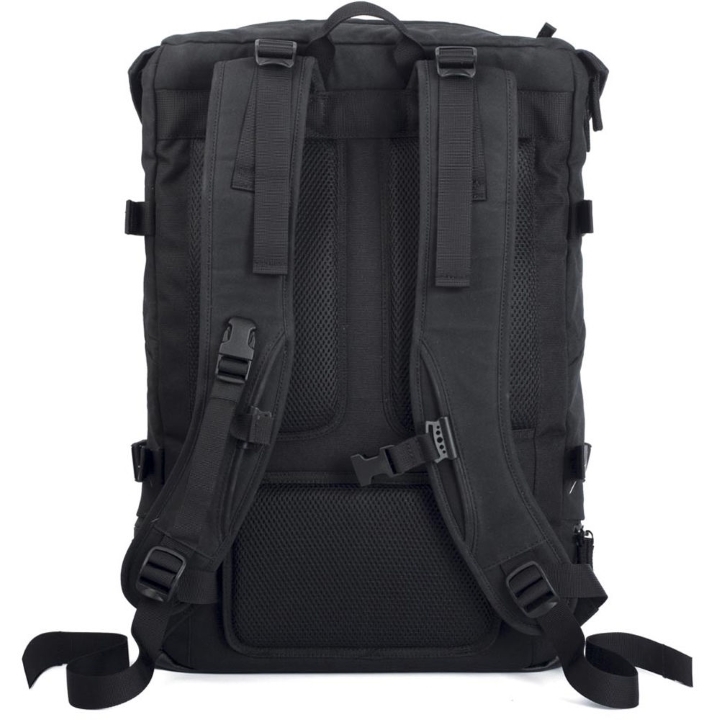 Carry the Base Park with the top handle or wear it with the padded adjustable shoulder straps. For added comfort and stability, the pack features a padded back panel, a chest strap, and a removable waist belt. 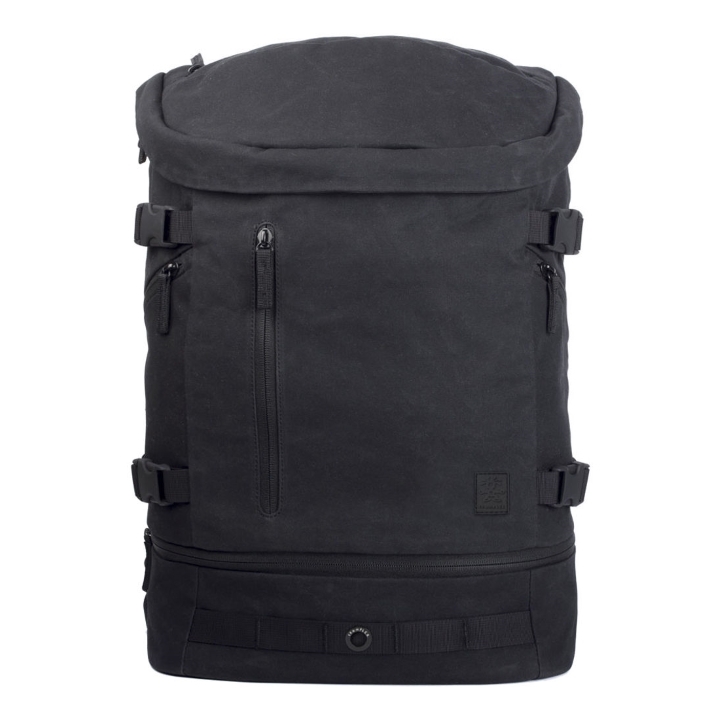 Waxed canvas, ripstop nylon, polyester, and tarpaulin construction ensure strength, durability, and improved weather protection.